Welcome to WaterproofPaper.com, a web property of Geoshops.com, LLC. Geoshops.com, LLC and/or its affiliates ("Geoshops") provide website, subscription, and content features and other products and services to you when you visit or shop at WaterproofPaper.com, view material at WaterproofPaper.com, subscribed to newsletters or email notifications from WaterproofPaper.com, or purchase products from WaterproofPaper.com (collectively, "Geoshops Services"). Geoshops provides the Geoshops Services subject to the following conditions; if you do not agree to these Conditions of Use and our Privacy Notice, do not use the GeoShops Services. By using GeoShops Services, you agree to these conditions and privacy notice, and certify that you are above the age of majority in your jurisdiction or are using GeoShops Services with and under the supervision of an adult. Additional terms and conditions apply to some services offered by GeoShops and may be found at the place where the relevant service is offered. Please read these Conditions of Use, Privacy Notice, and any other applicable terms and conditions carefully. Please review our Privacy Notice, which also governs your use of GeoShops Services, to understand our practices. All of the items that we sell are intended for use by adults. When the items that we sell are of interest to children, those items should be used only under the direct supervision of an accompanying adult. If you are under the age of majority in your jurisdiction, you may use the GeoShops Services only with involvement of a parent or guardian. Personally identifiable information about any minor should not be provided to GeoShops. (C) Using or attempting to use any engine, software, tool, agent or other device or mechanism (except the search mechanisms provided by GeoShops or other third-party web browsers) to navigate or search the WaterproofPaper.com website. (D) Using any manual or automated procedure to acquire, copy or monitor any portion of the site or any intellectual property, or in any way reproduce or circumvent the navigational structure or presentation of the site or any intellectual property, to obtain or attempt to obtain any materials, documents, or information through any means not purposely made available through the site. (E) Attempting to gain unauthorized access to any portion or feature of the site, or any other systems or networks connected to the site or to any related server, or to any of the services or intellectual property offered on or through the site, by hacking, password "mining" or any other illegitimate means. (F) Probing, scanning, or testing the vulnerability of the site or any network connected to the site, nor breach the security or authentication measures on the site or any network connected to the site. You may not reverse look-up, trace or seek to trace any information on any other user of or visitor to the site, or any other customer of GeoShops, to its source, or exploit the site or any service or information made available or offered by or through the site, in any way where the purpose is to reveal any information, including but not limited to personal identification or information, other than your own information, as provided for by the site. (G) Taking any action that imposes an unreasonable or disproportionately large load on the infrastructure of the site or related systems or networks. (H) Using any device, software, or routine to interfere or attempt to interfere with the proper working of the site or any transaction being conducted on the site, or with any other person's use of the site. (I) Forging headers or otherwise manipulating identifiers in order to disguise the origin of any message or transmittal you send to GeoShops on or through the site or any service offered on or through the site. (J) Pretending that you are, or that you represent, someone else, or impersonate any other individual or entity. (K) Using the site or any intellectual property or materials for any purpose that is unlawful or prohibited by these Conditions of Use, or soliciting the performance of any illegal activity or other activity which infringes the rights of GeoShops or others. When you use any Geoshops Service, or send e-mails, text messages, and other communications from your desktop or mobile device to us, you are communicating with us electronically. You consent to receive communications from us electronically. We will communicate with you in a variety of ways, such as by e-mail, text, or by posting notices and messages on this site. You agree that all agreements, notices, disclosures, and other communications that we provide to you electronically satisfy any legal requirement that such communications be in writing. Any feedback you provide at the [web address] site shall be deemed to be non-confidential, and Geoshops shall be free to use such information on an unrestricted basis. You signing up for any email newsletter, notification, or other information subscription related to any Geoshops Service, you acknowledge that you have opted-in to receive such email newsletter, notification, or other information subscription messages and consent to being included on mailing lists for Geoshops messages, including messages sent by Geoshops and its third-party affiliates. You also acknowledge that you have the right to opt-out of such future messages by following the “unsubscribe” or “opt-out” instructions on such messages or by contacting our Geoshops at You further acknowledge that you are bound by the terms of these Conditions of Use and any information contained in such email newsletter, notification, or other information subscription messages. All content included in or made available through any GeoShops Service, such as text, page headers, illustrations, formats, graphics, logos, button icons, designs, photographs, maps, images, audio clips, digital downloads, data compilations, and software is the property of GeoShops and/or its content suppliers and protected by United States and international copyright laws. In addition, graphics, logos, page headers, button icons, scripts, and service names included in or made available through any GeoShops Service are trademarks or trade dress of GeoShops in the U.S. and other countries. GeoShops's trademarks and trade dress may not be used in connection with any product or service that is not GeoShops's, in any manner that is likely to cause confusion among customers, or in any manner that disparages or discredits GeoShops. All other trademarks not owned by GeoShops that appear in any GeoShops Service are the property of their respective owners, who may or may not be affiliated with, connected to, or sponsored by GeoShops. You may access and view such intellectual property and all other materials displayed on the WaterproofPaper.com site for your personal, non-commercial use only; provided, however, that you (1) acknowledge the retention of all copyright, trademark or other proprietary designations contained on all intellectual property; (2) do not modify or alter the intellectual property in any way; (3) do not provide or make available the intellectual property to any third party in any manner; and (4) not make any additional representations or warranties relating to the intellectual property. Unless provided with written permission to the contrary, you agree not to infringe any copyright associated with any and all content on WaterproofPaper.com. No license, right, title, or interest in any intellectual property is transferred to you as a result of your use of the WaterproofPaper.com site or your accessing or viewing of the intellectual property. WaterproofPaper.com is not a source of free images and photographs, which are not available for any type of use beyond our website including, without limitation, academic, commercial, nonprofit or any other purpose. WaterproofPaper.com does not license or grant permission for use of the photographs or other images that appear on the website. Nearly all images are strictly governed by copyright protection, licensing agreements, or other contractual matters that compel strict adherence. Therefore, WaterproofPaper.com is unable to grant permissions for use of these images in any capacity beyond WaterproofPaper.com, nor can WaterproofPaper.com serve as a clearinghouse for the images of others. Further, such licensing requires WaterproofPaper.com to deny all requests from others to use these images. Therefore, WaterproofPaper.com instructs you not to write for permission as WaterproofPaper.com must say "no." Even if such written requests come from a nonprofit organization, an academic institution, or a third grade student, the website’s answer must be "no." Instead of writing to WaterproofPaper.com, please visit iStockphoto, Shutterstock, the USGS image repository, NASA Multimedia, or Wikimedia Commons for a large selection of nice images, photographs, and maps that you might be able to license or use under their respective terms and conditions. Many of the images on WaterproofPaper.com were obtained at these sources. The printable calendars, printable maps, printable graph paper and printable targets on this website are "free to print". You can print as many as you want using the pdf files that we provide. However, we do not allow them to be used in any other way or for any commercial use. Republishing, repurposing, disassembly and use other than printing from our pdf is prohibited. As copyright holder we grant permission to print to anyone, but reserve all other rights. An index to all of our free printables can be found here. Subject to your compliance with these Conditions of Use and your payment of any applicable fees, GeoShops or its content providers grant you a limited, non-exclusive, non-transferable, non-sublicensable license to access and make personal and non-commercial use of the GeoShops Services. This license does not include any resale or commercial use of any GeoShops Service, or its contents; any collection and use of any product listings, descriptions, or prices; any derivative use of any GeoShops Service or its contents; any downloading, copying, or other use of account information for the benefit of any third party; or any use of data mining, robots, or similar data gathering and extraction tools. All rights not expressly granted to you in these Conditions of Use are reserved and retained by GeoShops and/or its affiliates, licensors, suppliers, publishers, rightsholders, or other content providers. No GeoShops Service, nor any part of any GeoShops Service, may be reproduced, duplicated, copied, sold, resold, visited, or otherwise exploited for any commercial purpose. You may not frame or utilize framing techniques to enclose any trademark, logo, or other proprietary information (including images, text, page layout, or form) of GeoShops without express written consent. You may not use any meta tags or any other "hidden text" utilizing GeoShops's name or trademarks without the express written consent of GeoShops. You may not misuse the GeoShops Services. You may use the GeoShops Services only as permitted by law. The licenses granted by GeoShops terminate immediately upon your failure to comply with these Conditions of Use. GeoShops's copyright agent for notice of claims of copyright infringement on its site can be reached by United States mail at GeoShops, Attn. Manager, 1040 Eberly Way, Suite 150, Lemont Furnace, PA 15456. Please note that this procedure is exclusively for notifying GeoShops that your copyrighted material has been infringed. All billing information provided must be truthful and accurate. Providing any untruthful or inaccurate information constitutes a breach of these Conditions of Use and may result in order cancellation. 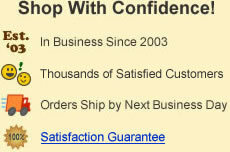 Prior to accepting an order we may also request additional information from you. We reserve the right to refuse or cancel an order for any reason including limitations on quantities available for purchase, inaccuracies, or errors in product or pricing information, or problems identified by our credit and fraud avoidance department. If your order is canceled after your credit card (or other payment account) has been charged, we will issue a credit to your credit card (or other applicable payment account) in the amount of the charge. We will contact you if all or any portion of your order is canceled or if additional information is required to accept your order. GeoShops may request a pre-authorization for some orders placed online with a credit or debit card. This pre-authorization will not be billed to you; however, your card issuer may hold this amount for a short period. Your card issuer determines the length of time the pre-authorization is held. We do this to ensure that the card details are still valid and that you have sufficient funds to complete the transaction in accordance with common merchant practice. By confirming your purchase at the end of the checkout process, you agree to accept and pay for the item(s). You will not be charged for most orders until the order has been packaged and placed in our shipping area awaiting pickup. GeoShops reserves the right to limit the quantity of items purchased per person, per household or per order for any reason. These restrictions may apply to orders placed by the same account, the same credit card, and also to orders that use the same billing and/or shipping address. We will notify the customer should such limits be applied. GeoShops also reserves the right, at our sole discretion, to prohibit sales to dealers or resellers. For purposes of these Conditions of Use, reselling shall be defined as purchasing or intending to purchase any product(s) from GeoShops for the purpose of engaging in a commercial sale of that same product(s) with a third party. All items purchased from GeoShops are made pursuant to a shipment contract. This means that the risk of loss and title for such items pass to you upon our delivery to the carrier. GeoShops does not take title to returned items until the item arrives at our facilities. Our refund policy is that items returned for a refund must be delivered to us in brand new, unused, resalable condition in original packaging and with all parts, accessories, and documentation included and suitable for resale. Shipping and handling charges are not refundable. At our discretion, a refund may be issued without requiring a return. In this situation, GeoShops does not take title to the refunded item. GeoShops posts a variety of material on its sites including, without limitation, merchandise information, product descriptions, reviews, comments, research information, and educational articles for educational and informational purposes only. In making such materials available on its sites, GeoShops attempts to be as accurate as possible. However, GeoShops does not warrant that product descriptions or other content of any GeoShops Service is accurate, complete, reliable, current, or error-free. Before you act on information you have found on the GeoShops sites, you should confirm any facts that are important to your decision by consultation with additional sources that you believe to be reliable. GeoShops, its affiliates, and third-party information providers make no warranty as to the reliability, accuracy, timeliness, usefulness, or completeness of the information on GeoShops sites. GeoShops is not responsible for, and cannot guarantee the performance of, goods and services manufactured or produced by third parties, our advertisers, or others to whose sites we link. Product information contained on the GeoShops sites may be different from information contained on the product materials due to manufacturer changes or differences in opinion. If a product manufactured and offered by GeoShops itself is not as described, your sole remedy is to return it in unused condition (excluding products that are not eligible for return). GEOSHOPS, ITS AFFILIATES, AND AGENTS ASSUME NO RESPONSIBILITY FOR ANY CONSEQUENCE RELATING DIRECTLY OR INDIRECTLY TO ANY ACTION OR INACTION YOU TAKE BASED ON THE MATERIALS LOCATED ON ANY OF THE GEOSHOPS SITES. We have made significant efforts to accurately describe or display the colors of products that appear on the GeoShops sites. However, as the actual colors you see will depend on your monitor and product availability, and there may be some variation in product specimens, we cannot guarantee that your monitor's display of any color or the actual color of any available product will exactly reflect the product color shown on the GeoShops sites. With respect to items sold by GeoShops, we cannot confirm the price of an item until your order is placed. Despite our best efforts, a small number of the items in our catalog may be mispriced. GeoShops reserves the right to cancel any orders containing pricing errors, with no further obligations to you, even after your receipt of an order confirmation or shipping notice from GeoShops. If the correct price of an item sold by GeoShops is higher than our stated price, we will, at our discretion, ship the item at our stated price, contact you for instructions before shipping, or cancel your order and notify you of such cancellation. Other merchants may follow different policies in the event of a mispriced item. We generally do not charge your credit card until after your order has been packaged and placed in our shipping area for parcel pickup. Parties other than GeoShops have products sold through the GeoShops Services or promote their products and services through advertisements on our website. In addition, we provide links to the sites of affiliated companies and certain other businesses. References on GeoShops sites to any names, marks, products, or services of third parties, or links to third-party sites or information are not an endorsement, sponsorship, or recommendation of the third party, its information, products, or services. We are not responsible for examining or evaluating, and we do not warrant the offerings of, any of these businesses or individuals or the content of their sites. GeoShops does not assume any responsibility or liability for the actions, products, and content of all these and any other third parties. Your use of a third-party site linked from a GeoShops site is at your own risk and will be governed by such third party's terms and policies. You should carefully review their privacy statements and other conditions of use. GEOSHOPS DOES NOT MANUFACTURE OR PRODUCE MANY OF THE PRODUCTS SOLD ON ITS SITE. THE GEOSHOPS SERVICES AND ALL INFORMATION, CONTENT, MATERIALS, PRODUCTS AND OTHER SERVICES INCLUDED ON OR OTHERWISE MADE AVAILABLE TO YOU THROUGH THE GEOSHOPS SERVICES ARE PROVIDED BY GEOSHOPS ON AN "AS IS" AND "AS AVAILABLE" BASIS, UNLESS OTHERWISE SPECIFIED IN WRITING. GEOSHOPS MAKES NO REPRESENTATIONS OR WARRANTIES OF ANY KIND, EXPRESS OR IMPLIED, AS TO THE OPERATION OF THE GEOSHOPS SERVICES, OR THE INFORMATION, CONTENT, MATERIALS, PRODUCTS OR OTHER SERVICES INCLUDED ON OR OTHERWISE MADE AVAILABLE TO YOU THROUGH THE GEOSHOPS SERVICES, UNLESS OTHERWISE SPECIFIED IN WRITING. YOU EXPRESSLY AGREE THAT YOUR USE OF THE GEOSHOPS SERVICES IS AT YOUR SOLE RISK. TO THE FULL EXTENT PERMISSIBLE BY APPLICABLE LAW, GEOSHOPS DISCLAIMS ALL WARRANTIES, EXPRESS OR IMPLIED, INCLUDING, BUT NOT LIMITED TO, IMPLIED WARRANTIES OF MERCHANTABILITY AND FITNESS FOR A PARTICULAR PURPOSE. GEOSHOPS DOES NOT WARRANT THAT THE GEOSHOPS SERVICES, INFORMATION, CONTENT, MATERIALS, PRODUCTS OR OTHER SERVICES INCLUDED ON OR OTHERWISE MADE AVAILABLE TO YOU THROUGH THE GEOSHOPS SERVICES, GEOSHOPS'S SERVERS OR ELECTRONIC COMMUNICATIONS SENT FROM GEOSHOPS ARE FREE OF VIRUSES OR OTHER HARMFUL COMPONENTS. GEOSHOPS WILL NOT BE LIABLE FOR ANY DAMAGES OF ANY KIND ARISING FROM THE USE OF ANY GEOSHOPS SERVICE, OR FROM ANY INFORMATION, CONTENT, MATERIALS, PRODUCTS OR OTHER SERVICES INCLUDED ON OR OTHERWISE MADE AVAILABLE TO YOU THROUGH ANY GEOSHOPS SERVICE, INCLUDING, BUT NOT LIMITED TO DIRECT, INDIRECT, INCIDENTAL, PUNITIVE, AND CONSEQUENTIAL DAMAGES, UNLESS OTHERWISE SPECIFIED IN WRITING BY GEOSHOPS. CERTAIN STATE LAWS DO NOT ALLOW LIMITATIONS ON IMPLIED WARRANTIES OR THE EXCLUSION OR LIMITATION OF CERTAIN DAMAGES. IF THESE LAWS APPLY TO YOU, SOME OR ALL OF THE ABOVE DISCLAIMERS, EXCLUSIONS, OR LIMITATIONS MAY NOT APPLY TO YOU, AND YOU MIGHT HAVE ADDITIONAL RIGHTS. If you have any dissatisfaction with an item that you have purchased from us, we encourage you to contact us directly at Please provide your name, order number, item that you purchased, and the details of your dissatisfaction. We value our customers and want to treat them fairly in every transaction. Any dispute or claim relating in any way to your use of any GeoShops Service, or to any products or services sold or distributed by GeoShops or through WaterproofPaper.com will be resolved by binding arbitration, rather than in court, except that you may assert claims in small claims court if your claims qualify. The Federal Arbitration Act and federal arbitration law apply to this agreement. To begin an arbitration proceeding, you must send a letter requesting arbitration and describing your claim to GeoShops and send a request for arbitration to the American Arbitration Association (AAA). The arbitration will be conducted by the AAA under its rules, including the AAA’s Supplementary Procedures for Consumer-Related Disputes. You agree to defend, indemnify, and hold harmless GeoShops and its affiliates from and against any and all claims, damages, costs, and expenses, including attorneys' fees, arising from or related to your use of the GeoShops Services or any breach by you of these Conditions of Use. By using any GeoShops Service, you agree that the Federal Arbitration Act, applicable federal law, and the laws of the state of Pennsylvania, without regard to principles of conflict of laws, will govern these Conditions of Use and any dispute of any sort that might arise between you and GeoShops. These Conditions of Use represent the complete agreement between the parties and supersede all prior agreements and representations between them. Headings used in these Conditions of Use are for reference purposes only and in no way define or limit the scope of the respective section. GeoShops will not accept any counter-offers to these Conditions of Use, and all such offers are hereby categorically rejected. We reserve the right to make changes to our site, policies, and these Conditions of Use at any time. By continuing to use any GeoShops Services after we post any such changes, you accept those revised Conditions of Use, as modified. If any of these conditions shall be deemed invalid, void, or for any reason unenforceable, that condition shall be deemed severable and shall not affect the validity and enforceability of any remaining condition. The failure of GeoShops to act with respect to a breach of these Conditions of Use by you or others does not constitute a waiver and shall not limit GeoShops's rights with respect to such breach or any subsequent breaches. No course of conduct between GeoShops and you or any other party will be deemed to modify any provision of these Conditions of Use. These Conditions of Use shall not be interpreted or construed to confer any rights or remedies on any third parties. GeoShops may disclose any information we have about you (including your identity) if we determine that such disclosure is necessary in connection with any investigation or complaint regarding your use of the site, or to identify, contact or bring legal action against someone who may be causing injury to or interference with (either intentionally or unintentionally) GeoShops’s rights or property, or the rights or property of visitors to or users of the site, including GeoShops's customers. GeoShops reserves the right at all times to disclose any information that GeoShops deems necessary to comply with any applicable law, regulation, legal process or governmental request. GeoShops also may disclose your information when GeoShops determines that applicable law requires or permits such disclosure, including exchanging information with other companies and organizations for fraud protection purposes. You acknowledge and agree that GeoShops may preserve any transmittal or communication by you with GeoShops through the site or any service offered on or through the site, and may also disclose such data if required to do so by law or GeoShops determines that such preservation or disclosure is reasonably necessary to (1) comply with legal process, (2) enforce these Conditions of Use, (3) respond to claims that any such data violates the rights of others, or (4) protect the rights, property or personal safety of GeoShops, its employees, users of or visitors to the site, and the public. You agree that GeoShops may, in its sole discretion and without prior notice, terminate your access to the site and/or block your future access to the site if it determines that you have violated these Conditions of Use or other agreements or guidelines which may be associated with your use of the site. You also agree that any violation by you of these Conditions of Use will constitute an unlawful and unfair business practice, and will cause irreparable harm to GeoShops, for which monetary damages would be inadequate, and you consent to GeoShops obtaining any injunctive or equitable relief that GeoShops deems necessary or appropriate in such circumstances. These remedies are in addition to any other remedies GeoShops may have at law or in equity. You agree that GeoShops may, in its sole discretion and without prior notice, terminate your access to the site, for cause, which includes (but is not limited to) (1) requests by law enforcement or other government agencies, (2) a request by you (self-initiated account deletions), (3) discontinuance or material modification of the site or any service offered on or through the site, or (4) unexpected technical issues or problems. If GeoShops does take any legal action against you as a result of your violation of these Conditions of Use, GeoShops will be entitled to recover from you, and you agree to pay, all reasonable attorneys' fees and costs of such action, in addition to any other relief granted to GeoShops. You agree that GeoShops will not be liable to you or to any third party for termination of your access to the site as a result of any violation of these Conditions of Use. You acknowledge that some goods licensed or sold on the GeoShops sites are subject to the customs and export control laws and regulations of the United States of America and may also be subject to the customs and export laws and regulations of the country in which the products are manufactured and/or received and agree to comply with all applicable laws. By purchasing, downloading or using technology or software from the GeoShops sites, you agree to abide by the applicable laws, rules and regulations and you agree, represent and warrant that no GeoShops materials will be accessed from, downloaded in, released in, carried to, transferred to, transshipped through, exported to, or re-exported to any restricted territory (or national resident thereof), any person, entity or organization on the U.S. Treasury Department’s List of Specially Designated Nationals or the U.S. Department of Commerce’s Denied Persons List or Entity List, or otherwise in violation of law. These Conditions of Use are effective unless and until terminated by either you or GeoShops. You may terminate the agreement resulting from these Conditions of Use at any time, provided that you discontinue any further use of the GeoShops sites. GeoShops also may terminate such agreement at any time and may do so immediately without notice, and accordingly deny you access to the GeoShops sites, if in GeoShops's sole discretion you fail to comply with any term or provision of these Conditions of Use. Upon any termination of such agreement by either you or GeoShops, you must promptly destroy all materials downloaded or otherwise obtained from the GeoShops sites, as well as all copies of such materials, whether made under this Agreement or otherwise. The following sections shall survive any termination of such agreement: "Prohibited Uses," "Intellectual Property," "License and Access," "Order Acceptance and Billing," "Pricing," "Other Businesses," "Disclaimer of Warranties and Limitation of Liability," "Indemnification," "Applicable Law," "Site Policies, Modification, Severability, and Waiver," "Violations of Conditions of Use," "Export Policy," and "Termination." If you have a subpoena to serve on GeoShops, please note that GeoShops does not accept service via email or fax and will not respond to the subpoena. All subpoenas must be properly served on GeoShops, preferably by mailing the subpoena to GeoShops.com, Attn: Manager, 1040 Eberly Way, Suite 150, Lemont Furnace, PA 15456. A. What Personal Information About Customers Does GeoShops Gather? The information we learn from customers helps us personalize and continually improve your GeoShops experience. Here are the types of information we gather. GeoShops websites do not have any forms that ask customers to enter personal information. If you make a purchase from us, your name, address, and other information that you enter is processed by Ultracart and Authorize.net, our shopping cart provider and credit card payment processor, respectively. Ultracart and Authorize.net are both Level 1 Certified Payment Card Industry compliant service providers. Level 1 service providers meet the highest standard of payment processing security expected by the credit card payment industry. We utilize Ultracart and Authorize.net because they have attained this highest level of payment processing security. GeoShops receives enough information from Ultracart and Authorize.net to approve, fill, and ship your order. We also receive your email address and telephone number so that we can contact you in the event that there are questions about or problems with your order. We do not receive or store your credit card number or the information on the swipe strip of your credit card. Online retailers must collect state and local sales taxes in states where they conduct certain business transactions, including, without limitation, California, Illinois, Michigan, Minnesota, North Carolina, Pennsylvania, Utah, Washington, and Wisconsin. When customers from state and local sales tax collection states make a purchase on GeoShops websites, TaxJar.com or other sales tax compliance providers review the transaction and provide GeoShops and its shopping cart providers with the amount of sales tax to be charged. For that purpose, TaxJar.com or other sales tax compliance providers must access transaction information including, without limitation, the date and shipping address of the order, the items purchased, the dollar value of the order, the amount of tax to be paid, and the amount paid for shipping. As a third-party service provider, TaxJar.com and other sales tax compliance providers retain this transaction information on their own servers in accordance with their respective privacy policies. All visitors to our website are logged by service providers such as Google Analytics or Clicky Analytics. These services record data about the pages viewed by our visitors, the time of their visit and the duration of their pageviews. This type of information is collected by nearly all major websites and is used by the managers of those websites to understand how their website is used by its visitors, in an effort to improve the website. The hosting company that connects our websites to the internet, pair.com, collects data about each visit to our websites and saves it in a log. This same information is a standard practice of the hosting industry and is done on nearly every website served in the United States. The mentioned services do not collect personal information about our visitors. Advertisements on our website are selected and delivered by Google Adsense. This services may read the cookies in your browser and the IP address assigned by your internet service provider to select and customize the ads delivered to you. In addition, it may write cookies to your browser which may be used to select and customize advertising shown to you on future visits to our websites or other websites where they are the advertising provider. When you shop for items on our website and place them in your shopping cart, Ultracart, our shopping cart service provider, writes cookies to your browser. These cookies help Ultracart remember which items have been placed in the shopping cart and uses them to complete your order. These cookies are temporary and will expire from your browser a few days after your visit to our website. This is why our shopping cart will forget items that you place in it a few hours to a few days after your visit. Our websites receive millions of visitors per month, and these visitors send us large volumes of email. We endeavor to respond to all messages that are essential to completing the sales and paid services that we provide to you. However, we regret that our small staff is unable to respond to every question and solicitation. We do not send marketing emails to people who contact us and delete most of those messages after we review them or reply. We may save some of those email messages for future reference or to use as templates when answering similar questions from other website visitors. In any of those cases, we never reveal the private information from people who contact us unless we are required to do so by court or government actions. Cookies are unique identifiers that our advertisers and service providers might transfer to your device to enable our systems to recognize your device and to provide features, personalized advertisements on other websites, and storage of items in your Shopping Cart between visits. C. Does GeoShops Share the Information It Receives? Information about our customers is an important part of our business, and we are not in the business of selling it to others. We share customer information only as described below and with subsidiaries and affiliates of GeoShops that either are subject to this Privacy Notice or follow practices at least as protective as those described in this Privacy Notice. Affiliated Businesses We Do Not Control: We work closely with affiliated businesses. We operate stores, provide services, or sell product lines produced or manufactured by these businesses. Business Transfers: As we continue to develop our business, we might sell or buy stores, subsidiaries, or business units. In such transactions, customer information generally is one of the transferred business assets but remains subject to the promises made in any pre-existing Privacy Notice (unless, of course, the customer consents otherwise). Also, in the event that GeoShops or substantially all of its assets are acquired, customer information will of course be one of the transferred assets. Protection of GeoShops and Others: We release account and other personal information when we believe release is appropriate to comply with the law; enforce or apply our Conditions of Use and other agreements; or protect the rights, property, or safety of GeoShops, our users, or others. This includes exchanging information with other companies and organizations for fraud protection and credit risk reduction. Obviously, however, this does not include selling, renting, sharing, or otherwise disclosing personally identifiable information from customers for commercial purposes in violation of the commitments set forth in this Privacy Notice. D. How Secure Is Information About Me? We work to protect the security of your information by outsourcing our ecommerce transactions to service providers who have earned the highest security levels certified by the credit card processing industry. GeoShops does not receive your credit card information. When you use our shopping service you are communicating through the services of Ultracart and Authorize.net, who are both certified Level 1 service providers. E. What About Third-Party Advertisers and Links to Other Websites? Our site includes third-party advertising and links to other websites. Those third-party advertisers and other websites may have privacy policies or privacy practices that differ from those of GeoShops. Please review the privacy policies and privacy practices of those third parties and websites. If you choose to visit GeoShops, your visit and any dispute over privacy is subject to this Notice and our Conditions of Use, including limitations on damages, resolution of disputes, and application of the law of the state of Pennsylvania. If you have any concern about privacy at GeoShops, please contact us with a thorough description, and we will try to resolve it. Our business changes constantly, and our Privacy Notice and the Conditions of Use will change also. You should check our website frequently to see recent changes. Unless stated otherwise, our current Privacy Notice applies to all information that we have about you and your account.